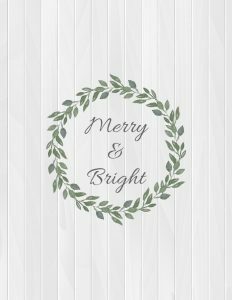 Free Printable Christmas Wall Art For Your Home - "Merry & Bright" Christmas Printable | Happy Deal - Happy Day! I love being able to decorate my house with simple and affordable ideas – even if it means just printing out an inspirational message and framing it! I love upcycling decor projects such as my mason jar light sconces, or updating a display shelf into something a bit more chic for above the bed, but those are a bit more time consuming. 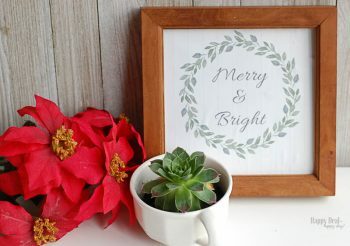 If you want something fast and easy to spruce up a table, night stand, hutch, or your wall for this Christmas season – then grab one of these 8×10 printables and frame it! If you want this to be extra affordable, then just get a frame from the Dollar Tree or a thrift store! 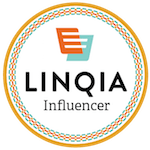 I’ve been having fun creating these printables – so I hope you find one that you’d like to print, frame and display yourself. If you want one, simply fill out the form below the one you want, and the PDF file will be sent to your inbox where you can print it and then frame it. I found an 8×8 backless frame at a thrift store for just a quarter. So I decided to use that to frame my “Thankful” printable. I simply cut out the printable 8×8 and glued it to some foam board so it had something firm on the back to hold it in. It was a tight fit in the frame (done on purpose) so that it easily stayed in place. Then I just flipped it over and glued on the “Merry & Bright” – so now I can use this for both Thanksgiving and Christmas seasons! 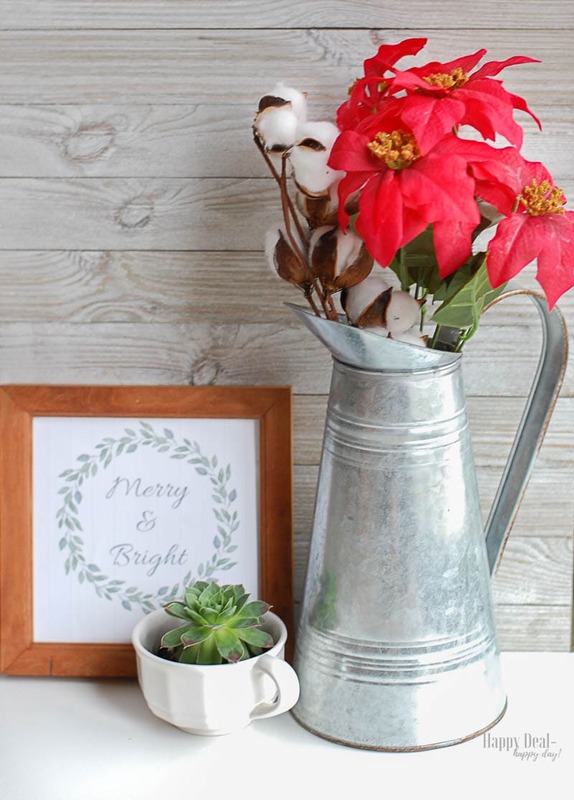 I decided to combine it with some other lovely Christmas farmhouse decor to make it the perfect addition to my dining room hutch. 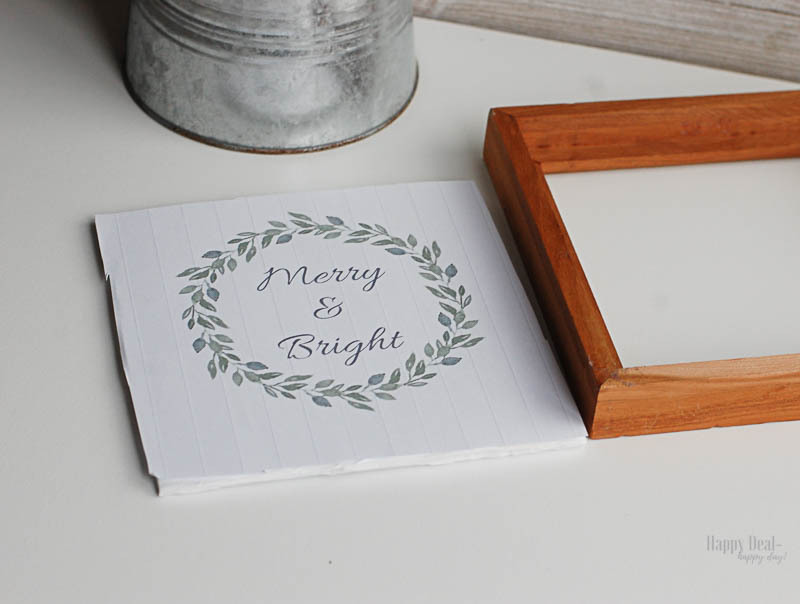 Get your free “Merry & Bright” printable by filling out the form above. It will fit into an 8×10 frame, but I cut mine and put in this square frame I got at a thrift store for 25¢. I also got that white tea cup for 25¢ at a thrift store and filled it with my own Hens and Chicks succulent I had in my own garden. (They reproduce like crazy and I’m going to fill all 6 tea cups I got with them and use them as part of teacher Christmas gifts this year!) You can also get some artificial ones on Amazon. I picked up the aluminum pitcher with a 50% off coupon from Michaels. You can also get them on Amazon. I got my cotton stems from Amazon. The fake poinsettias you can get at Walmart, the Dollar Tree, or Amazon. 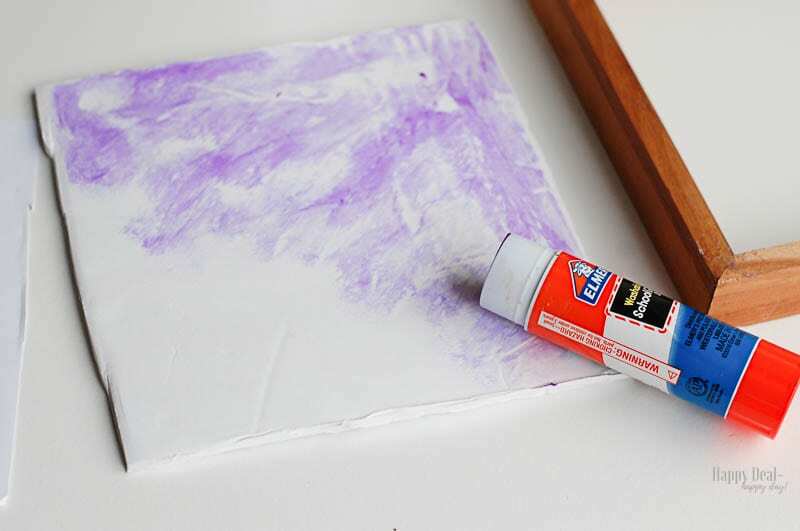 Picture Frame Dry Erase Board for Thanksgiving – Includes Free Printable!